What Do You Do When You Need to Sue a Zoo? There is probably no person alive who can’t appreciate some aspect of visiting a zoo. Regardless of whether you are opposed to the idea of wild animals in captivity, we can all agree that zoos are the only opportunity that many Americans will ever have to see many exotic animals up close. 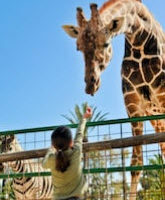 The unique nature of zoos makes their appeal to the young and young at heart very apparent. But unfortunately, sometimes the nature of the animals being held in captivity can overcome attempts to keep the people who are eagerly viewing or interacting with them safe. Over the past several weeks, news headlines and social media feeds have been dominated by news of incidents that have recently gone wrong at zoos – including right here in Florida. What Are Recent Examples of Zoo Incidents Gone Wrong? CBS News recently reported that a 2-year-old girl had to be treated for injuries after falling into the rhino exhibit at the Brevard Zoo. Zoo representatives told reporters that the incident occurred during an educational experience with the zoo’s white rhinoceroses after she stumbled and fell between two of the poles that separate guests and the wild animals. And sadly, another recent incident led to a fatality in after three people became blocked in a lion enclosure at a North Carolina animal preserve. A 22-year-old woman and zoo intern died of multiple deep lacerations to the neck after deputies’ attempts to sedate an attacking lion with darts tragically failed. While zoos are intended to be an educational and entertaining experience for all who visit, the reality is that they are also home to resident wild animals, many of which are predators in their native environment. Unfortunately, this can equate to injuries and even fatalities. How Do Injuries Happen at a Zoo? Defective equipment. Animals are not the only attraction on zoo property. Many zoos also operate buses, trams, and even rides, all of which the zoo is responsible for maintaining and can be held liable for when its maintenance is inadequate. Slip and falls. Considering how many animals are present at zoos, it comes as no surprise that water frequently has to be used to keep the animals hydrated as well as to keep their pens clean. This excessive water usage, in combination with the liquids spilled by other zoo visitors, can create perfect conditions for a fall. What Should You Do if You Are Injured at a Zoo? Have You Or a Loved One Been Injured at a Zoo? Unfortunately, visiting a zoo can involve you leaving in a state you never considered. If you have been injured at a zoo as the result of an animal attack or a property hazard, you can probably hold the zoo responsible for your injuries. Contact the experienced West Palm Beach personal injury attorneys of The Pendas Law Firm today and we will help you recover the compensation you are entitled to.